U.S. Representatives Mark Pocan (WI-02), Pramila Jayapal (WA-07), Keith Ellison (MN-05), Barbara Lee (CA-13), and Henry C. “Hank” Johnson Jr. (GA-04) released the following statement in advance of demonstrations scheduled to take place on Friday within the territory of Gaza. The Members of Congress are urging Gaza protesters to carry out their right to assembly nonviolently, while also calling on members of Israel Defense Forces to exercise utmost restraint in the use of deadly force and to fully comply with international law. “We are deeply disturbed by the tragic loss of life over the past two weeks of protests carried out within the territory of Gaza, with more than a dozen Palestinians killed by sniper fire – including an unarmed teenager and a respected photojournalist – and many hundreds more injured by live ammunition. 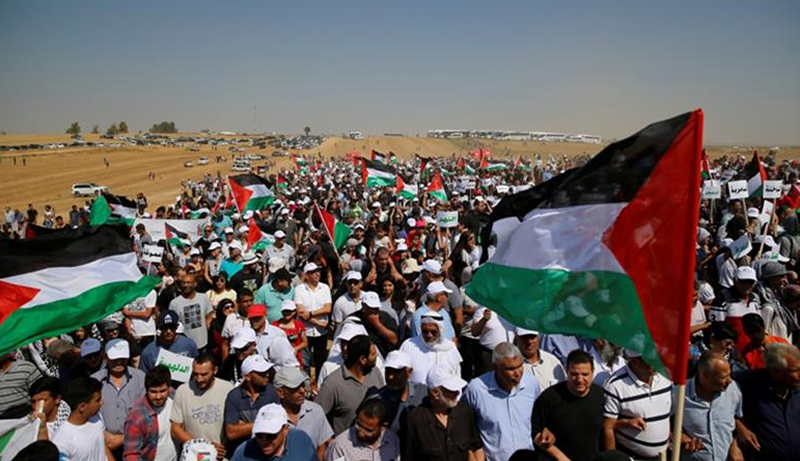 “While it appears that the vast majority of Palestinians who have gathered to protest have been peaceful, we object to reported cases of non-peaceful actions carried out by some Gaza protesters, and we call on them to exercise their rights nonviolently. We also urge Israeli soldiers to refrain from shooting live ammunition at unarmed Palestinian protesters from hundreds of meters away, across the fence separating the two territories. “We strongly reject the dangerous contention made on April 8 by Israeli Defense Minister Avigdor Lieberman that ‘there are no innocent people in the Gaza Strip.’ Media reports suggest that on Friday, Israeli soldiers will once again be ordered by high command – in contravention of international law – to engage in sniper fire on Gaza residents who come within 300 meters of the border fence or engage in other non-life-threatening actions.